When I ask the question of responsibility, it comes out as “how much do I have to…give/love/forgive/sacrifice…?” It nearly always leaves me bouncing between self-righteousness and frustrated obligation. Once we know through faith in Christ’s work for us that we are reconciled to God, and that the Creator is now not just our sovereign but our father, we can begin to have a more “sacramental” experience of the world. We see everything as a free gift from Father and a foretaste of the glory and goodness to come in our eternal inheritance. In short, as Miroslav Volf puts it, “Attachment to God amplifies and deepens enjoyment of the world.” It does not diminish it. “Weep with those who weep” rebukes my tendency to point others to their bright side during struggles, without mourning their battle. What more could be done than thou hast done! 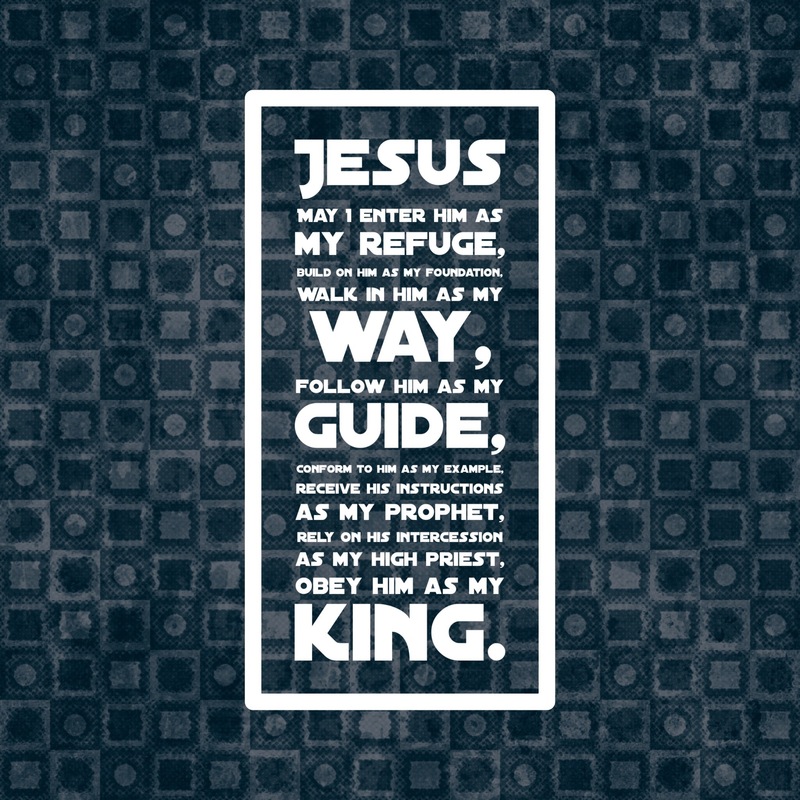 obey him as my king. Open for me the wondrous volumes of truth in his, ‘It is finished’. And decline no opportunity of usefulness. ”For by grace you have been saved through faith. And this is not your own doing; it is the gift of God, not a result of works, so that no one may boast. For we are his workmanship, created in Christ Jesus for good works, which God prepared beforehand, that we should walk in them” (Eph 2:8-10). If what you are believing increases your self-image, it isn’t the gospel. >According to Scripture, God deliberately designed the gospel in such a way so as to strip me of pride and leave me without any grounds for boasting in myself whatsoever (Eph 2; 1 Cor 1). This is actually a wonderful mercy from God, for pride is at the root of all my sin. Pride produced the first sin in the Garden (Gen 3), and pride always precedes every sinful stumbling in my life (Prov 16:18). Therefore, if I am to experience deliverance from sin, I must be delivered from the pride that produces it. Thankfully, the gospel is engineered to accomplish this deliverance. …Dear reader, what is your state this evening? Can you by humble faith look to Jesus, and say, “My substitute, thou art my rock, my trust”? 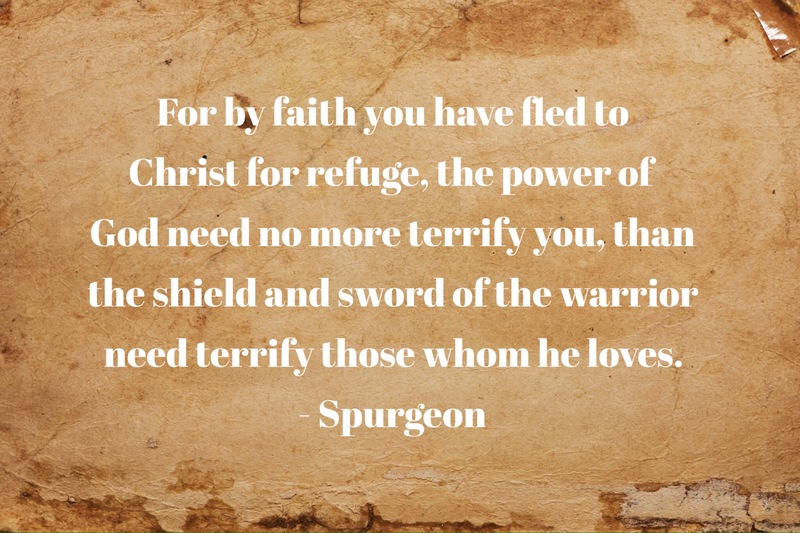 Then, beloved, be not afraid of God’s power; for by faith you have fled to Christ for refuge, the power of God need no more terrify you, than the shield and sword of the warrior need terrify those whom he loves. Rather rejoice that he who is “great in power” is your Father and Friend.